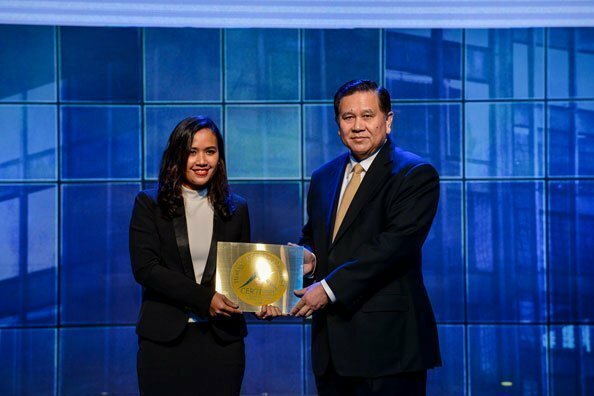 Febuary 2016, Krabi – General Thanasak Patimapragorn, Deputy Prime Minister and Minister of Foreign Affairs of Thailand, recently presented the “Thailand MICE Venue Standard Award” to Ms. Khaewalee Chuaynukul, Senior Sales Manager for MICE & Corporate at Sofitel Krabi Phokeethra Golf & Spa Resort. The resort’s three meeting rooms, Phokeethra 1- 2 and Phokeethra Grand Ballroom, have achieved compliance with the Thailand MICE Venue Standard. 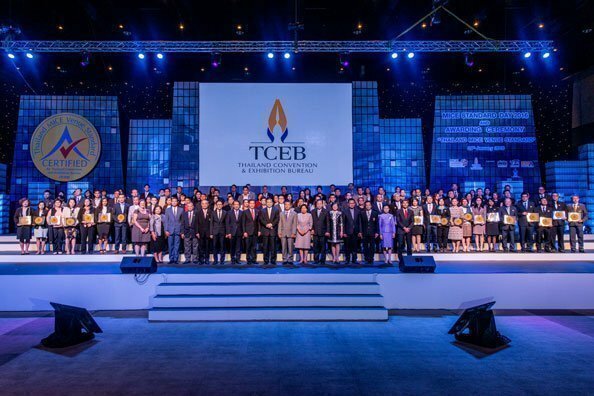 The event was organized by Thailand Convention & Exhibition Bureau (TCEB) at Royal Paragon Hall on 29 January, 2016. The development of Thai MICE operators is one of the Thailand Convention & Exhibition Bureau’s main missions. The bureau realises the importance of having an effective tool to measure service excellence and quality, especially for MICE venues, in order to elevate MICE services and standards for operators in Thailand and the ASEAN region. The standardisation will serve as a guideline for investments, operations and management, and marketing support. The standard will also help create a good image for organisations and build customer confidence in Thailand’s MICE standard. The Thailand Convention & Exhibition Bureau made a bright start to 2016 as it declared that the nine ASEAN member countries officially agreed to abide by the Thailand MICE Venue Standard as the model for the improvement of venues across ASEAN. Additionally, 100 Thai MICE entrepreneurs were approved by Thailand MICE Venue Standard in the fiscal year 2016. We are so proud to be on approved list of qualified MICE operators!